As you approach North Cape, you will be amazed by the enormous windmills that dot the landscape. 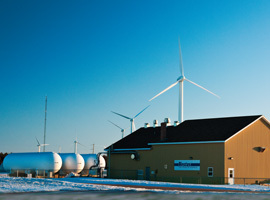 The Wind Energy Institute and was built here for good reason – it’s windy! Strong winds, a harsh marine environment, icing conditions, and low turbulence allow WEICan to collect data points required for testing, in a relatively short period of time. 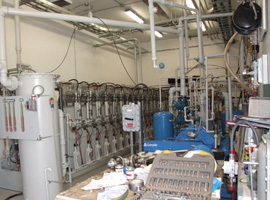 Since 1981, the Wind Energy Institute of Canada (WEICan), formerly known as the Atlantic Wind Test Site (AWTS), has been Canada’s national facility for the testing of small wind turbines. 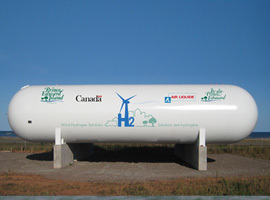 The North Cape Wind Farm, owned by the PEI Energy Corporation, is also located in the area. A wind farm is a cluster of wind turbines which collectively generate energy to be sold to an existing energy grid. For more information about WEICan visit their website.